Cobbler always makes its way into my family gatherings. It seems to be a Southern staple. 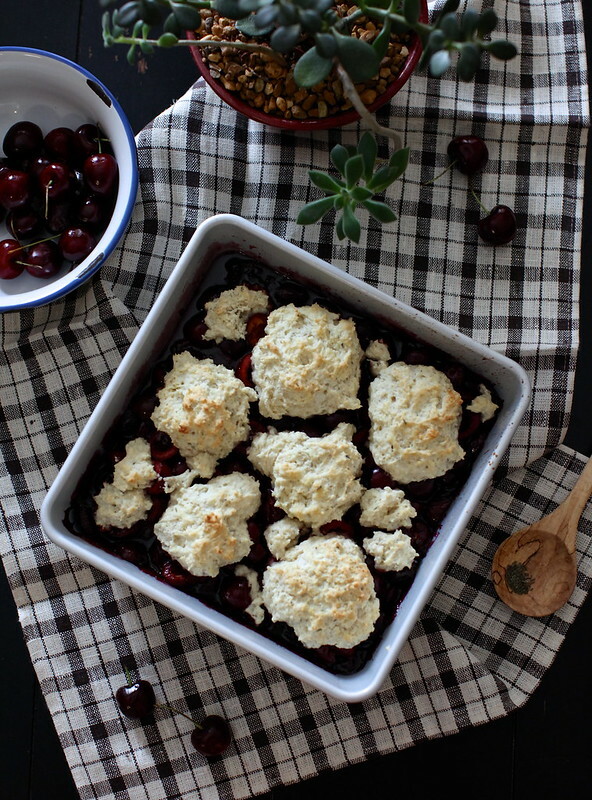 Families pass down recipes, cobbler cook-offs are the highlight local festivals, mom & pop restaurants have a cobbler or two available year round on the menu. Sometimes cobblers are a bit to predictable for me. Far too sweet, no high notes, and few mellow tones - just a strong and steady dose of sugar. 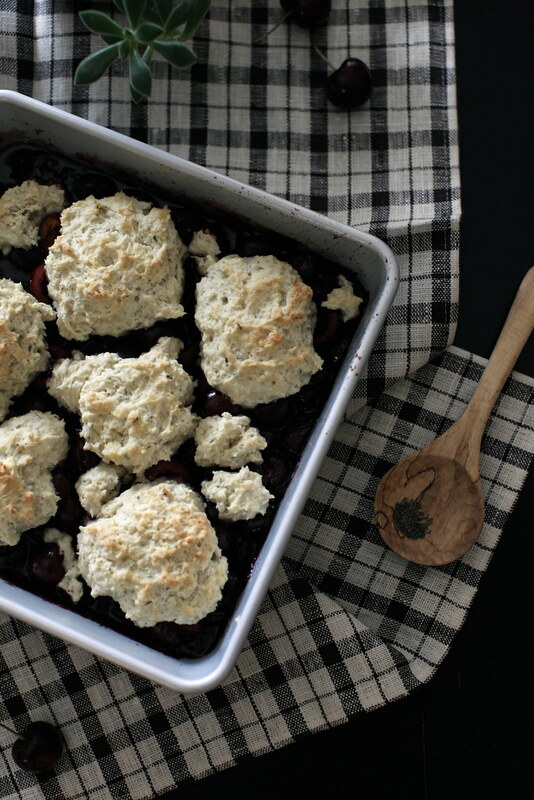 With this cobbler I aimed to add rustic flavors to give a much needed break from the sweet. 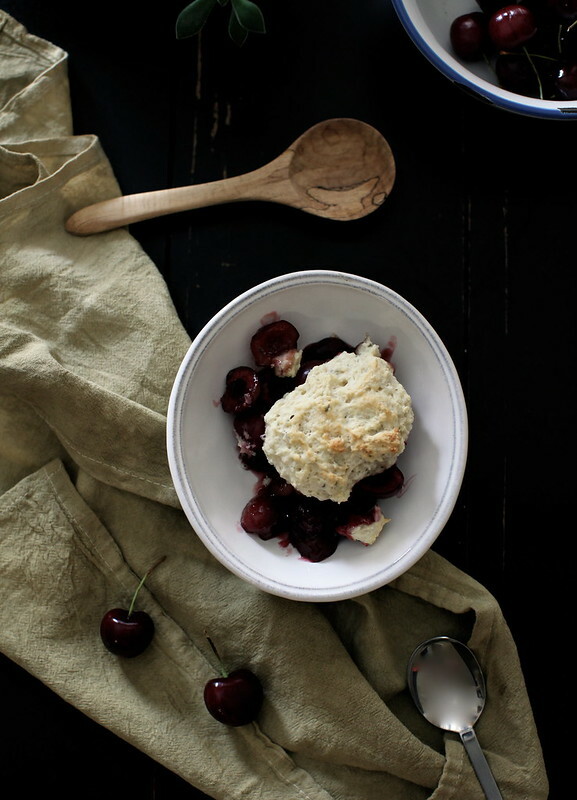 Fluffy biscuits top the baked fruit and hints of thyme linger through out the dish. 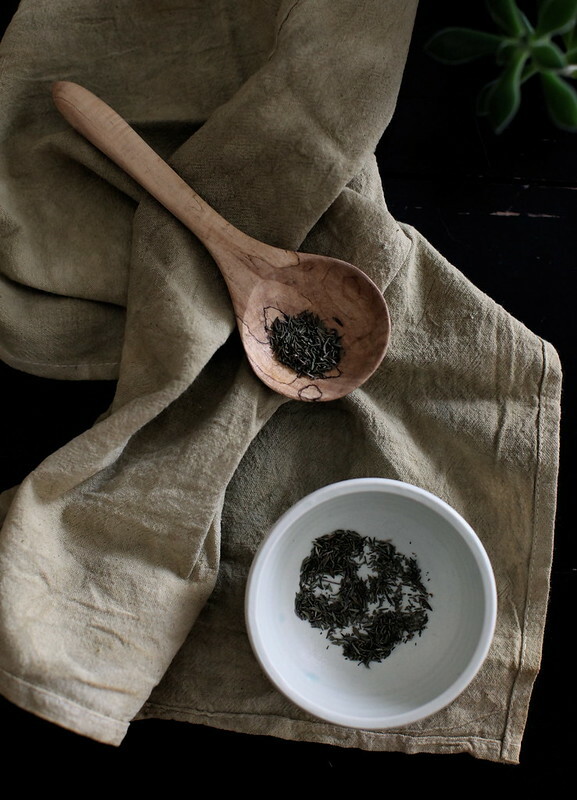 This recipe is great for sharing or keeping all to yourself to indulging your sorrows. You'll need a square 9 inch baking pan. 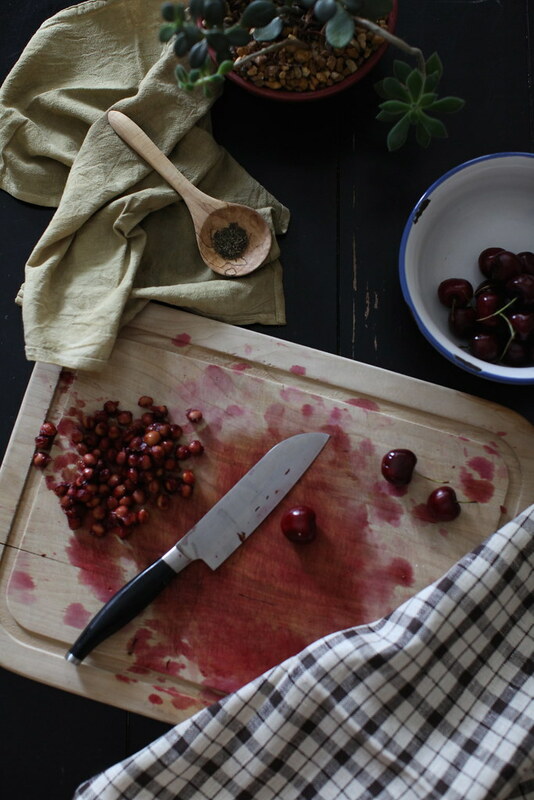 Halve the cherries and remove the pit. Combine the cornstarch, 1/3 cup sugar, 1/3 brown sugar, 1/2 tablespoon of thyme, and lemon juice. Toss halved cherries with sugar mixture. 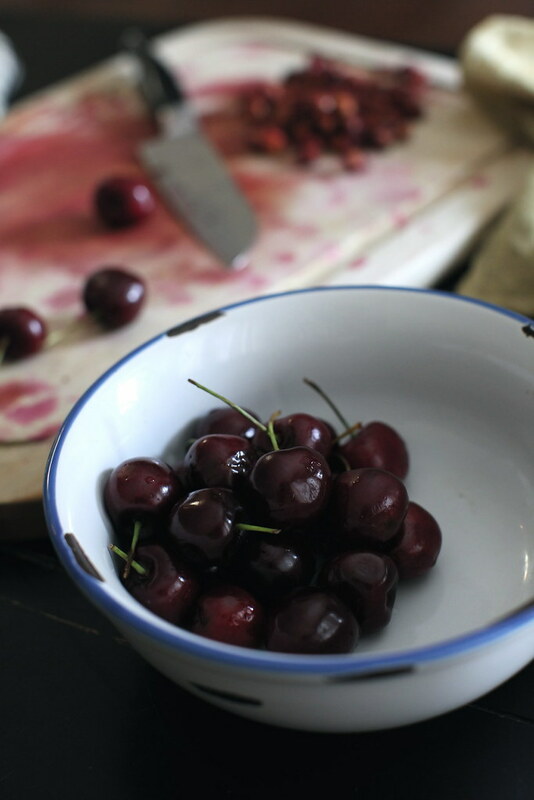 Add the cherries to the back pan. Combine flour, 1 tablespoon of sugar, baking powder, salt, and cut butter. Once it reaches a crumbly texture stir in milk. Mix until it becomes a doughy. 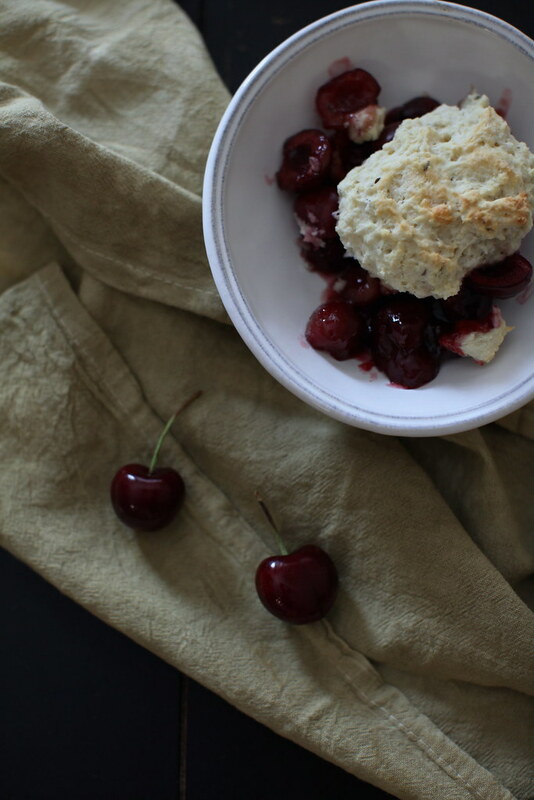 Drop spoonfuls of dough atop the cherries. 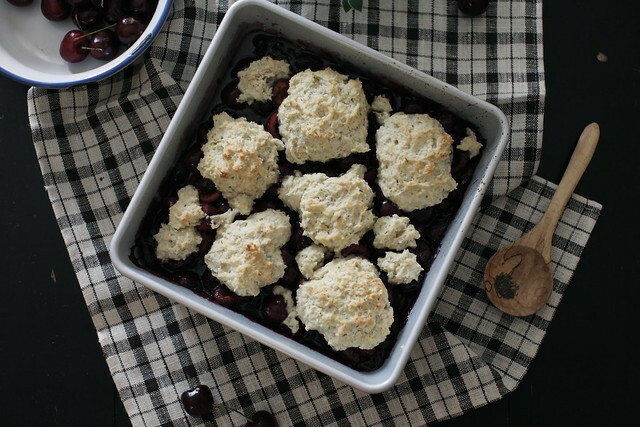 Bake for 10 to 15 minutes until the cobbler top is golden brown.